Last week I had the privilege of shooting backstage at couturier Paolo Sebastian’s Adelaide Fashion Festival runway shows. It was magical. 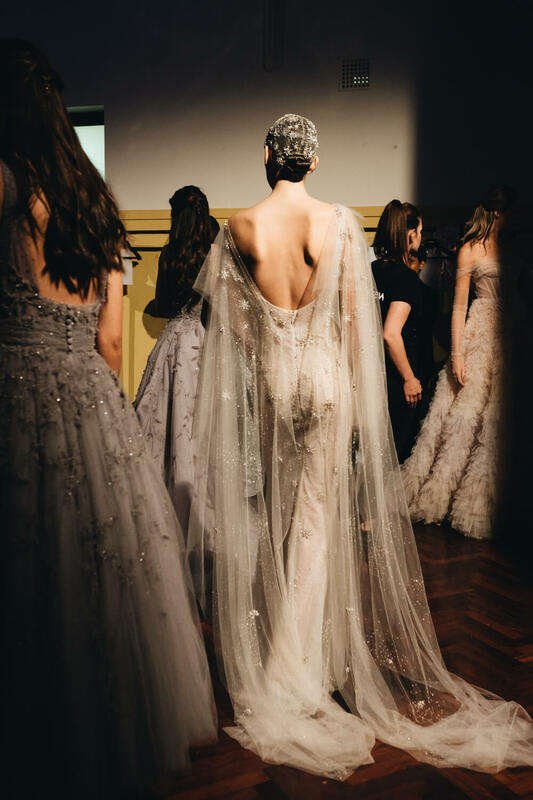 Paolo Sebastian's ethereal gowns waltzed down the Adelaide Fashion Festival 2018 runway to Pyotr Ilyich Tchaikovsky’s, The Nutcracker, performed live by the Adelaide Symphony Orchestra. Inspired by the Russian composer’s acclaimed 1892 masterpiece, Adelaide designer Paul Vasileff’s Autumn/Winter 2018-19 couture collection brings to life the famous ballet. Embroideries of hand-sewn snowflakes, delicate crystal embellishments and a ballerina dress with custom carousel embroidery are standout pieces in Vasileff’s seventeenth collection. His signature silhouettes of illusion necklines and sweeping ball gowns of French tulle and soft blue silk chiffon showcase the label’s essence while utilising the details to tell the narrative. Uncle Drosselmeier’s inspired cashmere coat with metallic thread-work and the Nutcracker doll’s military-inspired tailored pant suit exhibits Vasileff’s breadth of talent. 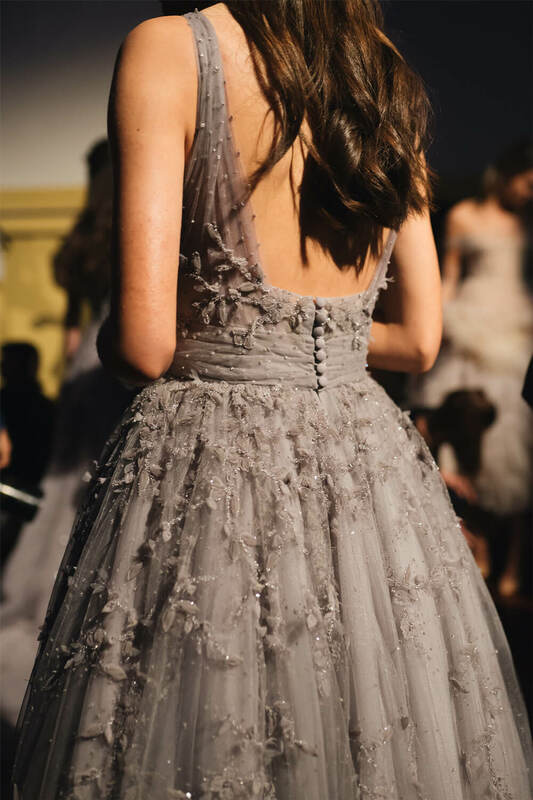 Contrasting to last year’s runway, inspired by the fairytale forests of Disney, this year Paolo Sebastian’s The Nutcracker runway was a blank canvas allowing the couture collection and live orchestra form the magical setting. It is wonderful to have such a talented designer stay true to his roots and support his hometown of Adelaide. Vasileff, who won young Australian of the Year 2017, has shown all over the world including Paris and the Arab Emirates but will always make the time for Adelaide and delight local audiences. His shows are worth a flight for those interstate. I dare say, there are few opportunities that one gets to witness this level of couturier outside of the Parisian couturiers. Paul Vasileff is a true Australian gem. All photos by Lei Lei Clavey. If you wish to use these images please contact hello@leiladylei.com to discuss.